Just a brief update on Ashley and her eggs. Here they are as of this morning. I can candle again this Friday but after that, she’s on her own. 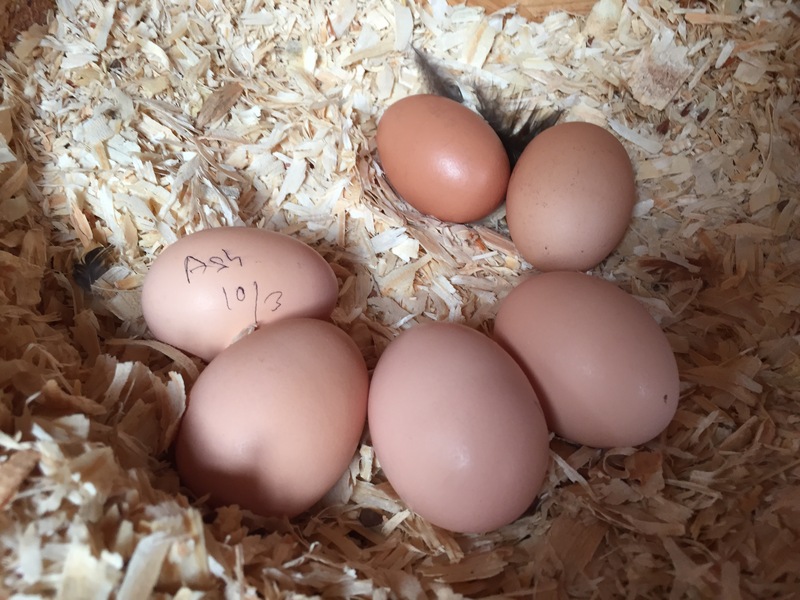 Friday is Day 18, and next Monday is hatch day. Ashley is doing well. She doesn’t nest hop anymore. I rarely see her outside but I know she is going out and getting food. And she lets me pet her and lift her up to check the eggs. Of course, I also give her oatmeal and little treats with her breakfast on the days she doesn’t go outside on her own. How exciting! Looking forward to hatch day!